The MSG150 crew headed out a bit later than usual, around 12:40, to find the next spot. 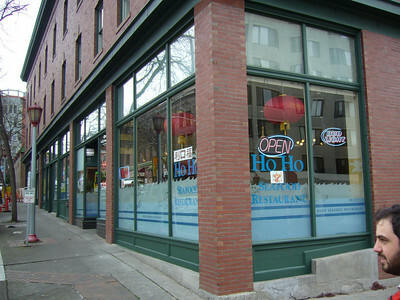 Just down the street from Bush Garden is the Ho Ho Seafood Restaurant. Like many of the spots on this last stretch, Ho Ho is a place where none of us had ever been. Also, unlike you might expect, Ho Ho is neither Christmas nor chocolate cupcake themed. Fortune: Someone will lose your fortune on the way back to the office. Wow! The first thing you notice when entering Ho Ho is the modern interior. So many places in the ID are either outdated or over themed (or both). Ho Ho has attractive modern furniture and decor. Its large windows and stylish light fixtures provide ample lighting. It's how you would expect a modern restaurant in Hong Kong might look. 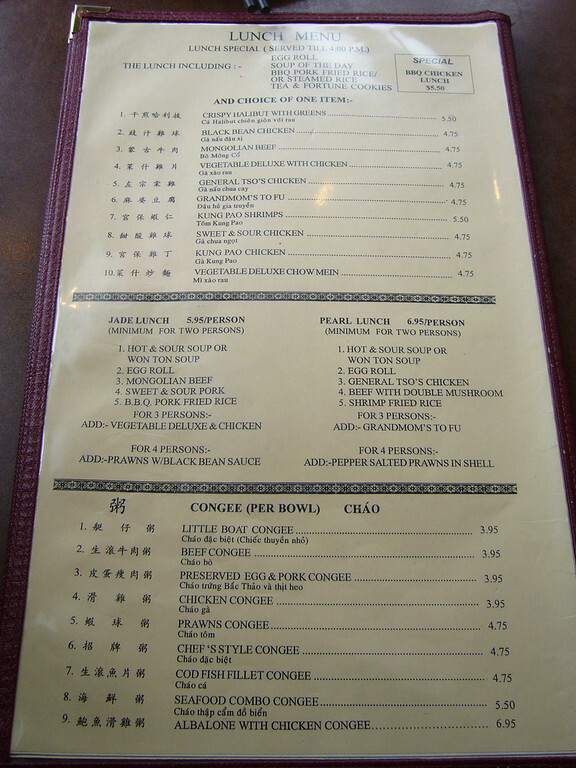 The lunch menu has the typical American Chinese lunch offerings but in addition to the standard per person lunches, they had a couple of family style lunches with 2, 3 or 4 entrees depending on the number of lunchers. 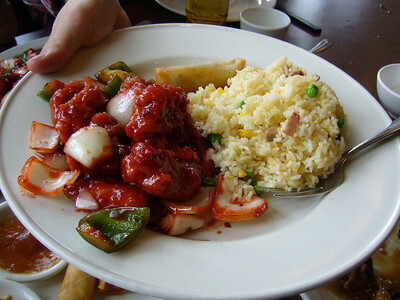 Al went with the General Tso's Sticky Goo lunch special, while the rest of us went with the Pearl Lunch for four. With the Pearl Lunch, we got Pepper Salted Prawns in Shell, Grandmom's Tofu, Beef with Double Mushroom, General Tso's Chicken, Shrimp Fried Rice, Egg Rolls, and soup. The H&SS was good with just the right amount of tang and spice and not overly thick. The Egg Rolls were a surprise. I usually avoid these overly greasy "delicacies", but the Ho Ho Egg Rolls are a petite, cocktail-frank-sized variation on the usually kielbasa-sized rolls. They were hot, crisp and delicious. The Prawns were large, finger-sized prawns deep fried with shell, heads and all and seasoned with salt, pepper, garlic, and jalapenos. They were delicious. No need to peel, just eat from the tail and stop at the head. The shell is fried crisp enough that it is not chewy at all and adds a pleasant crunch. 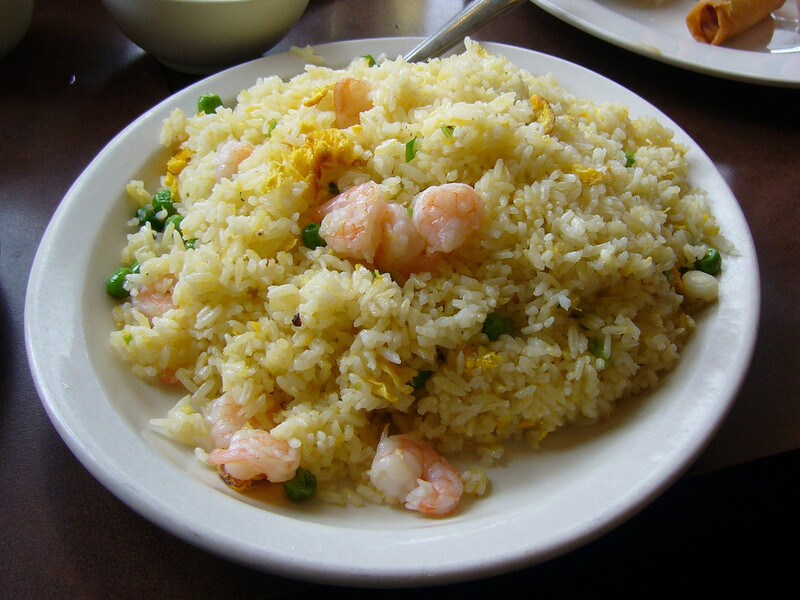 The Shrimp Fried Rice was light and fluffy and not at all greasy. 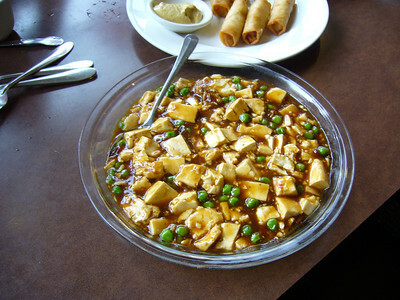 The beef and tofu were good, but nothing outstanding. I tasted General Tso's Abomination and was again amazed that anyone would choose to put this concoction into their body given other reasonably edible options. Fortune: You will lose your fortune on the way back to the office. Seriously? This place is called Ho Ho? There has to be some meaning behind the word... because I know Hostess isn't going to let them sell delicious goo-filled baked goods. Luckily they sell Chinese food in a building with plenty of windows and natural light in a recently-remodeled eating-room. After a quick rundown of the menu, we noticed a reasonably priced family-style lunch. We'd get the basics, plus 3 entrees for a normal lunch price... sounds good to me. All of the food was good, and there was plenty of it. The General Tso's was unique -- it was much redder than I'm used to seeing. Other than that, nothing stood out. All of the food was on the tastier side of 3-chopsticks, but nothing pushed it over to a 4. It looks like they have some other decently priced lunch options... some of their soups looked like they would be pretty good. This is definitely a solid standard Chinese lunch place. Good prices. Good food. Well lit. "Ho Ho" means "Good Good." Ho Ho - another nondescript storefront in this ocean of Chinese Food - surprised in many ways. The first thing you notice is it's very clean, and very well lit - with big floor-to-ceiling windows. The decor is modern and classy looking. 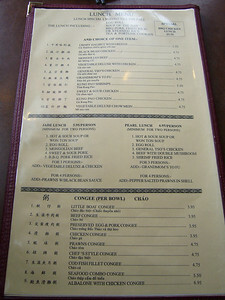 The menu is detailed, and has a large selection. They're playing whiny Chinese pop songs. We got the Pearl Lunch Special, and shared four dishes amongst the four of us. I got to try a little bit of everything. 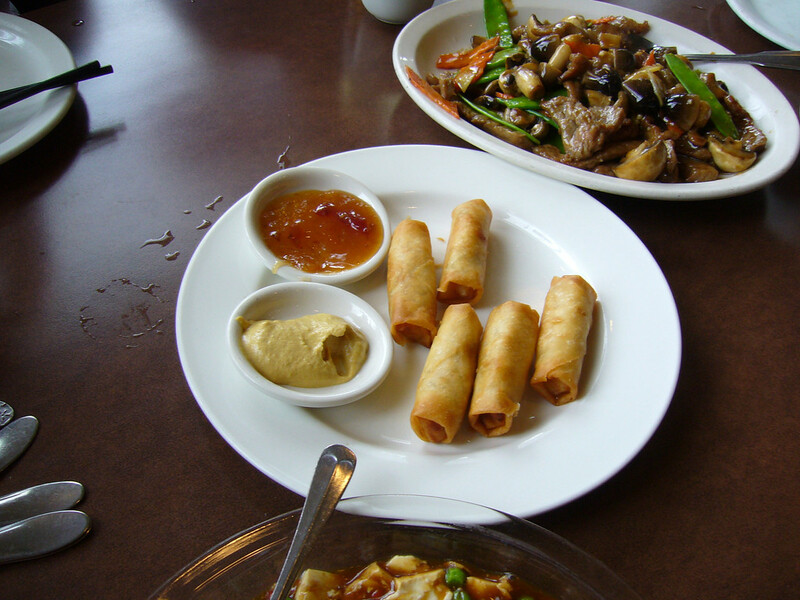 The egg rolls were tasty, fresh fried, and hot. The tofu had a nice pepper flavor. 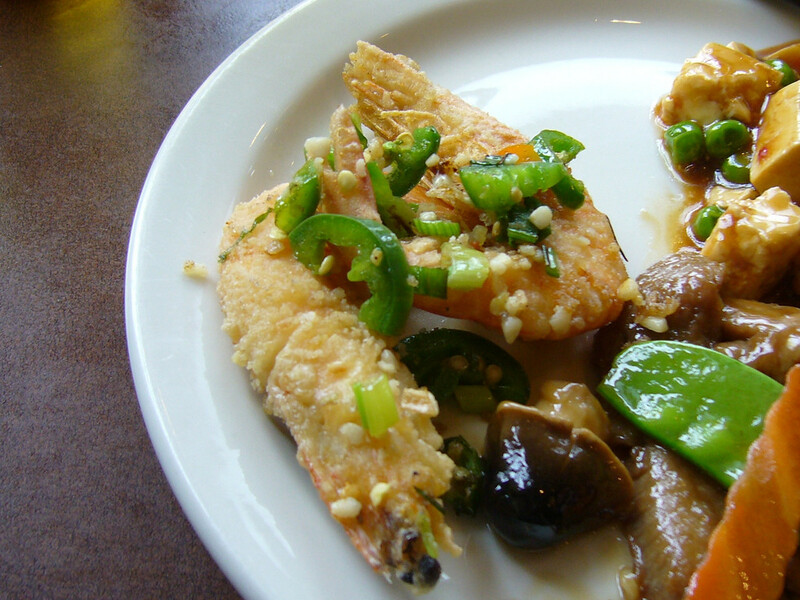 The shrimp came whole, complete with heads and legs, deep-fried. We had to eat through the skins, but they were scrumptious. The mushrooms and beef were average, and the General Tso's was surprisingly tasty. For the price, this place delivered a lot of tasty food, with good selection. I look forward to exploring the rest of the menu. I'd come back. 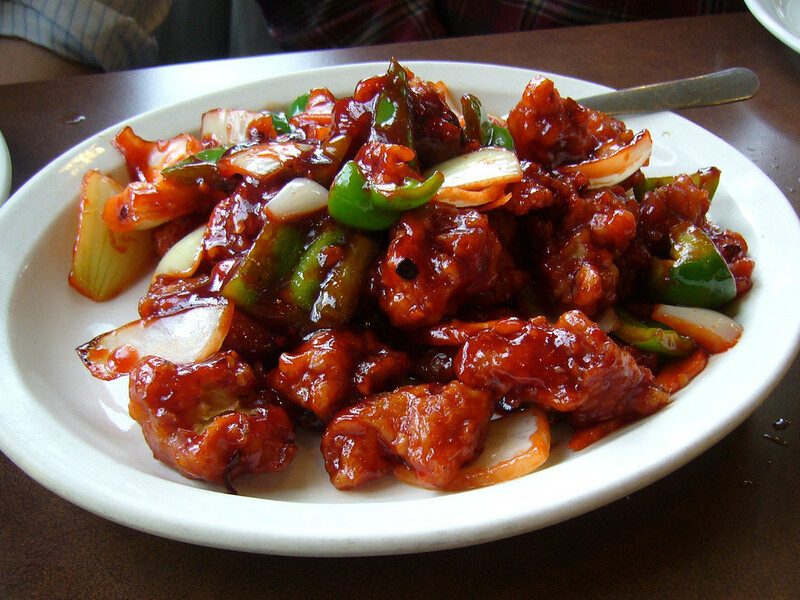 This General Tso could win Iraq on a budget. The $4.75 lunch special was awesome. A huge portion of General Tso's Chicken, fried rice, egg roll, and hot and sour soup for only $4.75! 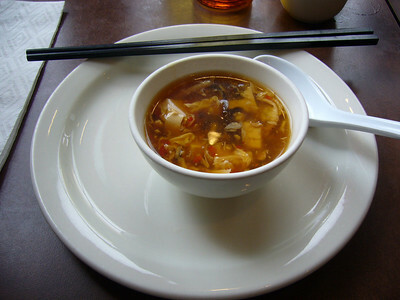 Their hot and sour soup is actually good too, not slimey like some. The quality of the chicken was a bit low (what do you expect for $4.75?! 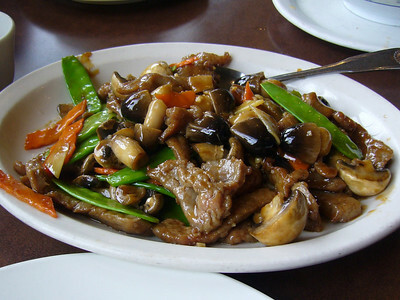 ), but I liked that the dish had green pepper and carrot in it. The sauce was good - actually spicey! This restaurant has a nicer atmosphere than many in the ID and still has the crazy prices with good food. There was a large group of large people sharing numerous dishes when I was there, as well as a few "local/business" tables (with regularly sized people). I miss Seattle and the ID. My dad first opened Ho Ho back in the mid 80's. He owned the Sea Garden prior to that. 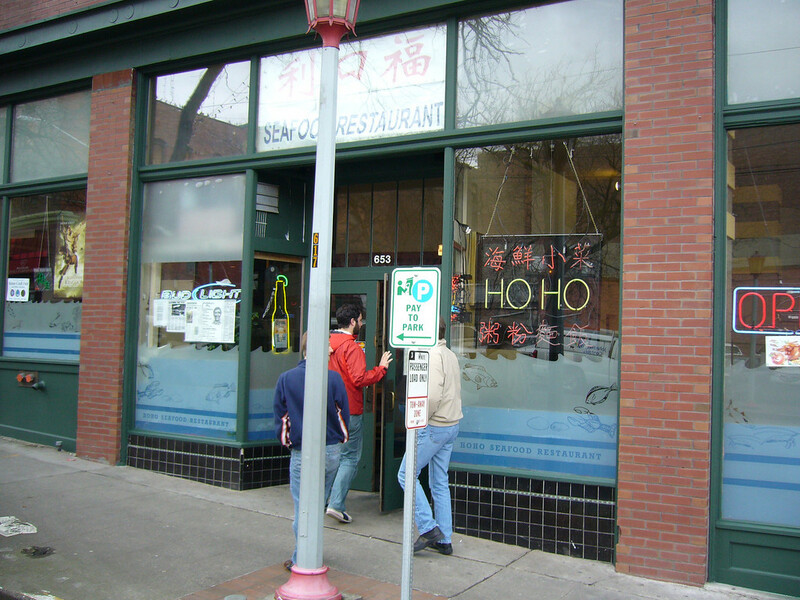 A brief origin of the restaurant name my dad's middle name was Ho and I asked him why not name it Ho Ho which means good good or very good. He liked the name very much. I live in the Twin Cities now and unfortunately the Chinese food out here is subpar at best.